It’s an expensive industry to get into. The cost of stainless steel equipment is considerable. And your direct competitors are multinational corporations that have factories across the world. Sound familiar? While those points would ring true for any number of craft breweries across Australia, the same can be said for a business that's finding favour with many of them: New Zealand’s Gladfield Malt. Located in Dunsandel, southwest of Christchurch in the Canterbury Plains, Gladfield Malt is the work of Doug and Gabi Michael. And, considering all the similarities between this maltster and the small scale breweries they supply, it's perhaps unsurprising that Gladfield’s origin lies in a passion for their trade. Doug is a fifth generation New Zealand barley farmer, while Brazilian born Gabi also has a background in farming, having worked as a vet on dairy farms before meeting Doug. They started Gladfield in 2004, after many years growing barley for large scale malting companies. Doug says it was the combination of knowing a few local brewers, and their own situation as barley farmers, that really spurred the two of them into action. “We realised that the small craft brewers weren’t being looked after by the big multinational malting companies and were struggling to find a consistent, good quality product and good service," he says. With that, Doug and Gabi invested in a modern (and expensive) malting facility and began supplying some local craft breweries with what they produced on their Dunsandel farm. While those breweries were keen to support something local, it wasn’t parochialism that kept them coming back to Doug and Gabi down the road: it was the quality. “We realised very early on that quality and consistency is really what is important to the craft brewers and I think that’s the key to Gladfield,” says Doug. Essential to Doug and Gabi’s business is the fact that any brewery that uses a malt of a varying quality is likely to be brewing beers that lack consistency. Just as plenty of drinkers have never returned to a craft brewery after having a few bad beers, breweries are unlikely to become repeat customers if they receive bad quality malt. To combat this, from the beginning Gladfield has invested heavily in the most advanced malting equipment they could get their hands on. 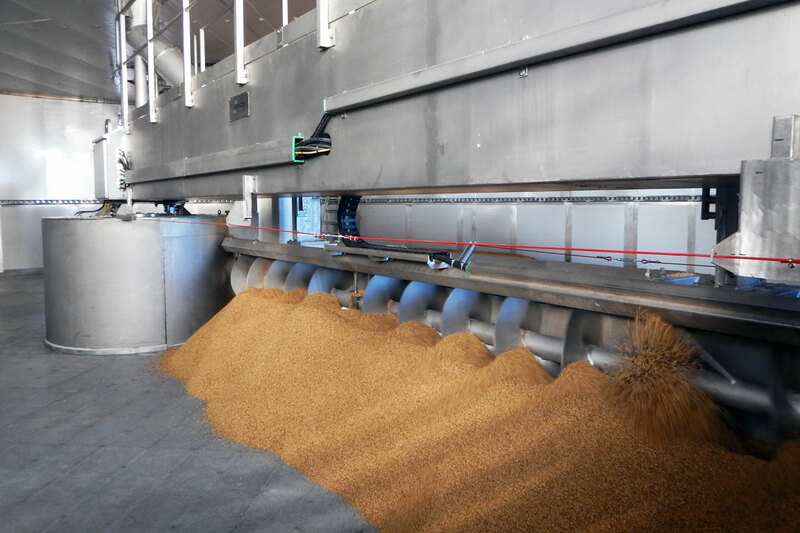 Central to their operation is their laboratory, which enables them to judiciously check the quality of the barley that comes in and the malt that goes out. Gabi, Doug and the sixth generation of Dunsadel farmers. Gladfield Malt has always been about supplying craft breweries and the Michaels understand what separates small breweries from the larger players. “We design our malt especially for craft brewing,” says Doug. “The big malting companies are making malt for the mainstream beer and it’s a different kind of beer. Mainstream breweries are mostly after high fermentation and getting beer out by the numbers. Yet Gladfield’s success is only partially due to their investment in technology; you can’t make good malt without good malting barley. 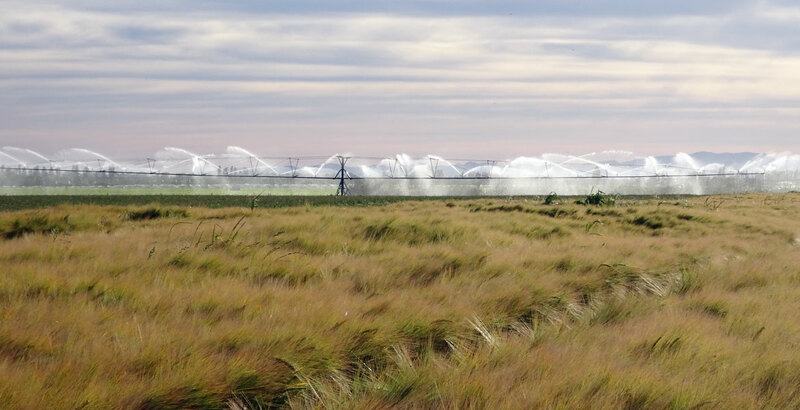 New Zealand’s maritime climate, means that there are few temperature extremes in the Canterbury Plains while rainfall tends to be stable. As a result, the area produces some of the highest yields in the world, while also being known for producing high quality grains. Doug and Gabi’s original assumption was that their farm would produce plenty of barley to satisfy the local craft breweries, but demand for their product eventually caught up with supply. Since 2012, Gladfield has been contracting other farmers in the region to grow grain for them, turning themselves into a significant part of the economy in the Canterbury Plains. The decision to use barley from other farms has meant that their business has been able to grow, while they can still rely on the same level of quality for which Gladfield Malt originally become known. While their growth has in part been driven by the success of craft brewing in New Zealand, it is also the result of beginning to export to Australia and parts of Asia. For Australian beer drinkers, plenty of familiar names regularly use the malt from Gladfield in their brewing: Moon Dog, Modus Operandi and Rocks Brewing Co, for example, while Mountain Goat was one of Doug and Gabi’s earliest customers in Australia and worked with them to develop the specialty malt Shepherds Delight. It’s a market that Doug and Gabi have long wanted to be a part of, but for them it’s less about the size if the industry and more about the people that work in it. “It’s been an absolutely mind blowing experience to export to Australia,” Gabi says. “The industry is so open to us and it has just been amazing. Australian craft is really serious about quality and we love how much people understand that our farming is adding value to beer. It’s a feeling that’s mutual, with both Doug and Gabi believing that they understand the craft brewer. 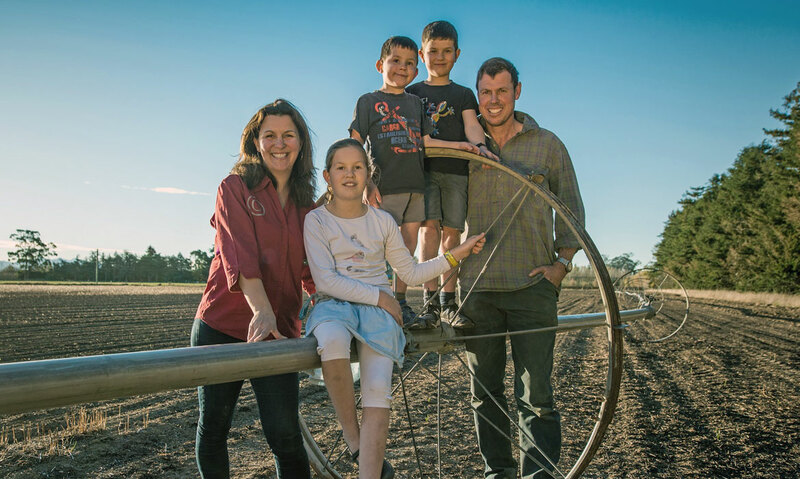 As a family run business, they are never more than a phone call away from being able to answer an Australian brewer’s questions about their malt. Even the decision to become a speciality maltster – and invest in a new roaster – was borne out of conversations with brewers. Specialty malts are those malts which help change the aroma, flavour and appearance of a beer. So when some breweries mentioned to the team at Gladfield that they weren’t getting the best quality specialty malts from some other suppliers they realised it was another area into which they could expand; in 2012, they ordered a roaster from the Czech Republic and began producing their own specialty malts. Now, more than a decade in, Gladfield is doing well by almost any metric; they have eight full-time employees, 27 malt varieties and are now contracting barley from close to 70 local growers. Yet, when talking to Doug and Gabi, it quickly becomes apparent that they are in it because it’s an industry they love. “We got into it because we are very passionate about it,” says Doug. “We didn’t look at it as a financial decision. We wanted to make a difference for the craft brewers and for other barley growers.